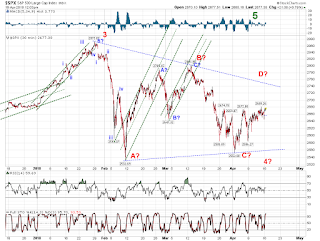 The SPX opened gap up this morning and went into a quick consolidation phase before breaking out and moving higher again. This morning's gap remains open. 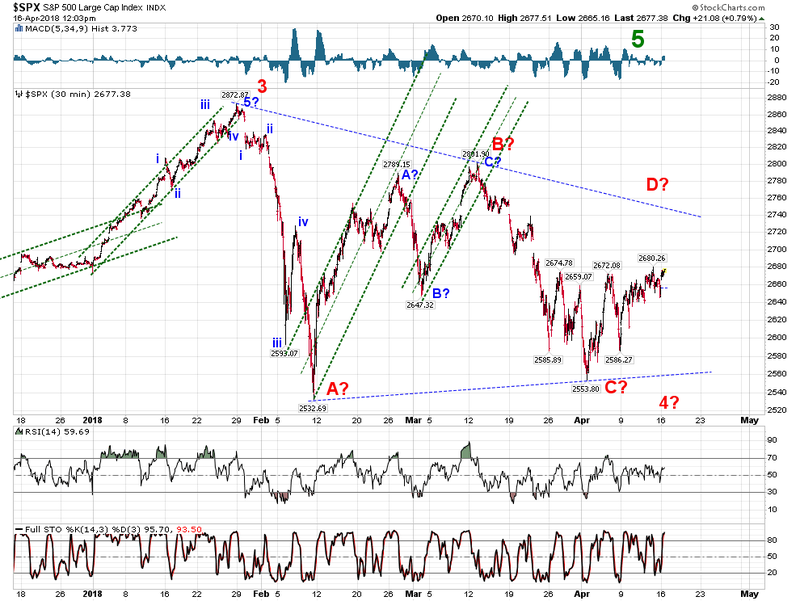 Odds continue to support this wave as a "D" wave higher.